Because it’s relevant not only to my own life, but so many of the clients I’ve been working with, I thought I’d share another article I wrote for Lotus Effect (just to remind you you’re not alone!). Feel Crazy? Join the Party! Feeling more emotional or drained than usual? Don’t fret. The planetary vibrations have been intense; from solar flares and super moons to mercury retrogrades, the energies of our world are at an all-time high. 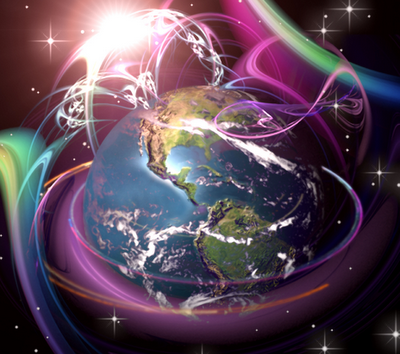 Not only are astrological events affecting our emotional worlds, cell phone radiation and technological interference in our earth’s electromagnetic field affect how we think and feel. Not to mention, as the consciousness of the planet continues rise, all unhealed past trauma and negative patterns in our lives are coming to the surface. Past survival mechanisms/coping methods no longer work, and many people feel their emotional lives have become too difficult to manage. For those who make the choice to line-up with these energies and allow their consciousness to shift, let go of outdated belief systems, and heal old wounds, the shift has proved to be not only bearable, but beneficial. Choosing the path of expansion is not always pleasant, but it’s necessary for survival. If you’re having any of the above experiences, it’s important to own up to how you feel. The Universal energies are calling us all out – there is no more room to pretend, bypass, or suppress. It’s time to take care of our individual energy imprint on this planet and do the work to be healthy/balanced people. We are all responsible for what’s happening in our world because everything we think, feel, and do affects everyone. Consider how your current habits make you feel. Pay close attention to what you put in and around your body. What kind of music do you listen to? What is the quality of the food you eat? How do you spend your time? Everything you put in your body (and your mind) affects you and everyone around you. It is important to take good care of yourself and get in touch with what you truly need to be healthy. Do an emotional detox. Commit to healing any and all old energy patterns that continually repeat themselves. Pay attention to how you feel and allow old emotions to surface. Once they emerge, ask yourself what you need to heal and listen to what your intuition tells you. Distracting yourself and stuffing down emotions only gets the energy stuck in your body (which then manifests in physical ailments and disease). Plus, suppressing just doesn’t work anymore. It’s time to face how you feel and deal with it. You’ll feel better when you do. Do a physical detox. An herbal or juice cleanse works wonders at clearing out old energy stored in our bodies. Even giving your body a break from over stimulating food can be healing. Listen to your body and do whatever feels right to you, but commit to self-care. Your body works hard at keeping you healthy, and with the intense energies on the planet right now, it’s important to give it an extra boost. Whatever you choose to do with this information, just remember, you’re not alone. ← To Hell With Self-Improvement!